Wayne Huey's acrobatic skills include juggling, balancing objects, unicycling, and handstands. His master teacher in China is the well known artist Mr. Niu Gui Zhang of the Tai Yuan Acrobatic Troupe in Shannxi Province. 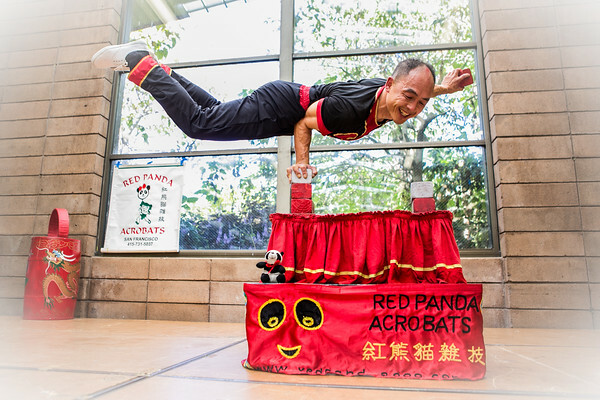 He is based in San Francisco and performs year round for the Red Panda Acrobats in a variety of venues and events. Wayne's family is from Kaiping City, located in the province of Canton, China. His various hobbies include practicing Tai Chi and martial arts, baking, and newsletter desktop publishing.